The Mad Hatter is situated just two minutes walk from London's South Bank between the Tate Modern Gallery and the London Eye. 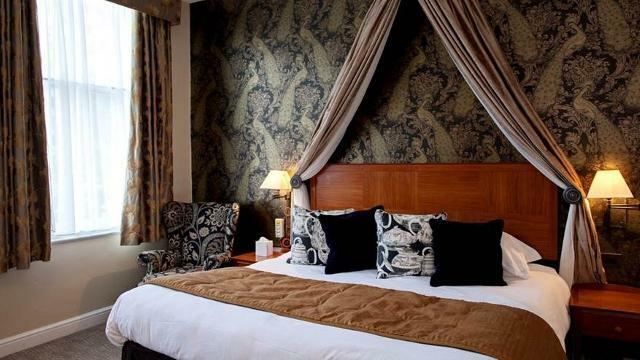 The hotel is a 15-minute walk from Covent Garden and is ideally located for business and tourism. The hotel is five minutes walk from Waterloo International Station and is near to both Southwark and Blackfriars stations. The hotel has 30 ensuite bedrooms, all of which have tea/coffee-making facilities, hairdryer, trouser press, direct-dial telephones and Sky TV. There is a traditional English pub on the ground floor serving Fuller's award winning ales and our menu is of traditional English style with daily specials available. A warm welcome awaits you at the Mad Hatter Hotel London. Is The Mad Hatter your business?